Full Color Digital Printing -- Full Color Digital Printing is ideal for more detailed and multi-colored graphics. Our equipment allows us to print on many different substrates, producing eye popping graphics that will get you and your company noticed. Digital graphics can be for short term, long term, indoor & outdoor use. 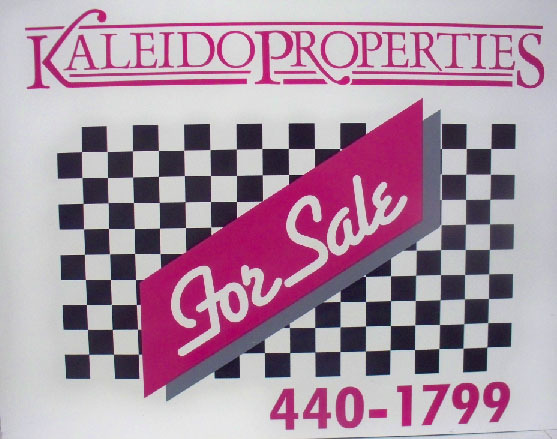 Real Estate & Yard Signs -- Signs Unlimited offers a wide variety of real estate signs, custom built to fit our customers, businesses & developers needs. Wood Signs/Job Site Signs -- Signs Unlimited provides a variety of wood signs that incorporates everything from vinyled wood signs to the more detailed engraved or dimensional wood signs. Screen printed signs -- With Signs Unlimited's in-house screen printing, there is no better way to get multiple, identical signs on substrates like corrugated plastic, aluminum and a few other materials at a more cost efficient price. 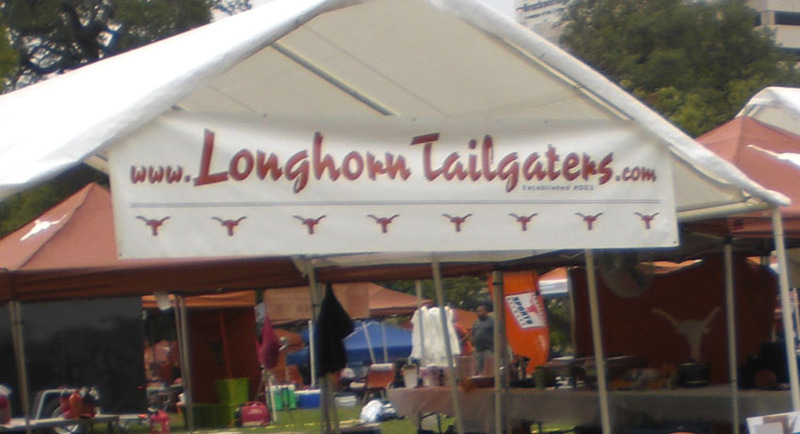 Vinyl Banners -- Banners come in many different sizes and colors to meet our customers needs. 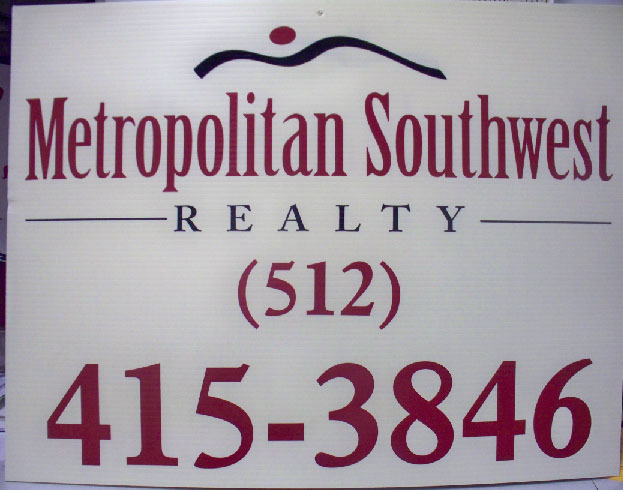 They can either have vinyl cut graphics applied or printed full color digital images. You decide what works best based on what your budget allows. Vehicle, Boat & Window Lettering -- Signs Unlimited provides Vehicle, boat and window lettering that has never been easier, faster and more cost efficient in such a competitive industry. We provide our customers with digital photos showing what the final outcome of their vehicle, boat or window lettering will look like. Whether our customer comes in to approve or make changes or by doing so through emails, our design team at Signs Unlimited strive to make the design experience as convenient as possible for our customers. 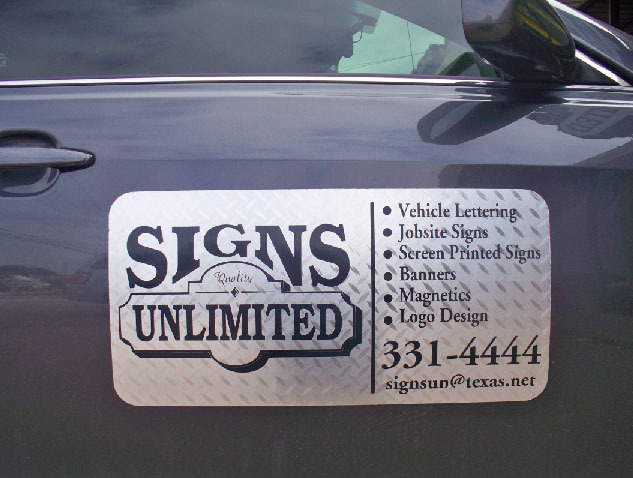 Magnetics -- Signs Unlimited provides a great alternative to permanent signage on vehicles and that is magnetics. Magnetics can be used on vehicles and trucks of all types & come in a variety of sizes and styles to meet our customer's needs. 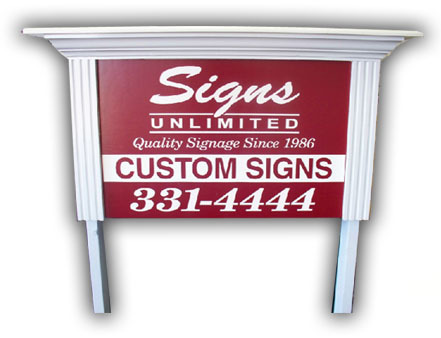 A-Frame Signs -- At Signs Unlimited we can supply our customers with a variety of A-frame styles from Wood to Plastic material. Great for indoor and outdoor use with the benefit of ease of mobility. 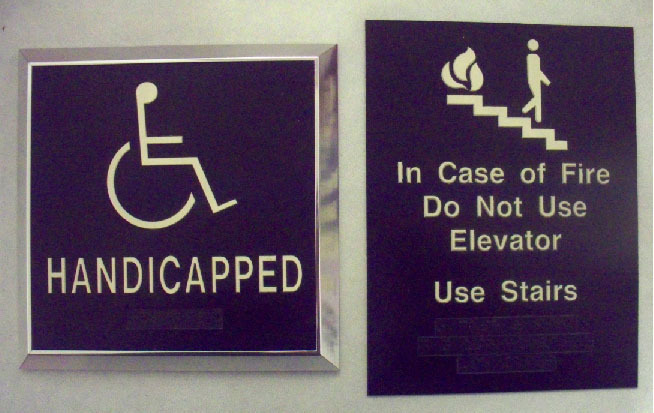 Office and Lobby Signs -- Over the years Signs Unlimited has provided Universities, Hospitals and Corporations with a variety of office and lobby signs. These types of signs can be made from an array of different materials , from brushed aluminum, bronze and stainless steel and so much more. Let us give your business a strong visual presence that speaks volumes to your clients, employees and suppliers. 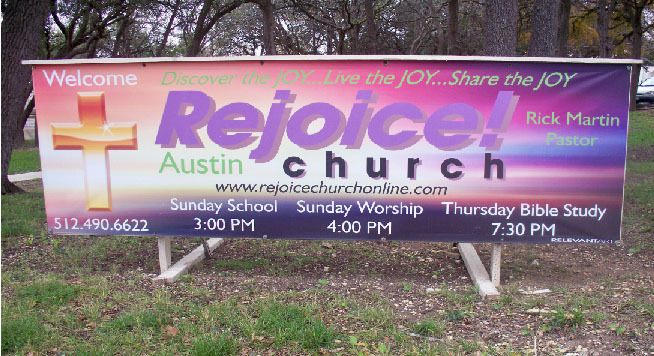 Channel & Dimensional Letters -- Signs Unlimited for over 20 years has supplied Central Texas businesses with a variety of channel and dimensional letters illuminated and non-illuminated using different substrates like plastic (acrylic) and metal. 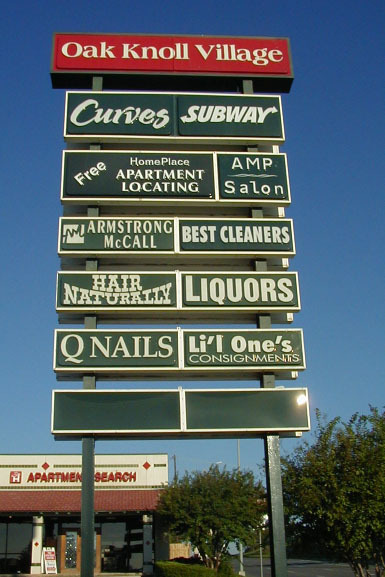 Dimensional letters can be used for either interior or exterior signage. Let our professional staff help you choose a material and style that will make your business standout from the rest. Illuminated Lite Boxes & Pole Signs -- Signs Unlimited can supply you with illuminated single sided or double sided light boxes with acrylic, lexan or formed vacuum embossed acrylic faces. We also have the capability to erect pole signs with our installation specialists. 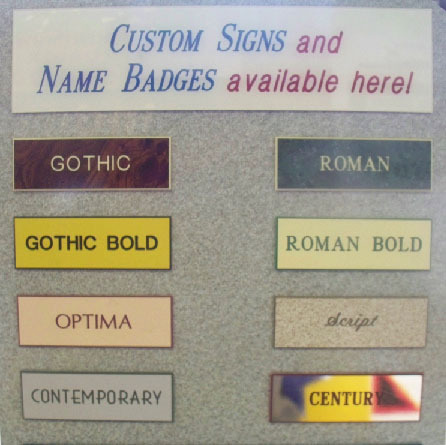 Engraved Wall Plaques/Name Tags -- Signs Unlimited's engraving department can handle a multitude of different projects from attractive engraved plastic wall plaques to interior directory name plates. 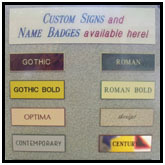 We stock many different plastic materials to engrave your custom name tags as well. Logo Graphic Designer -- Our experienced Graphic Designers are easy to work with and very patient during the creative process between our designers and customers. We are dedicated to creating an image and /or layout that will be eye catching & set your sign apart from the everyday barrage of the ordinary and non-memorable signs that many companies are sinking in today. Sign Installations -- Let our experienced and professional installation department install all your signs, interior and exterior.